Whether you've come up with an idea for a unique fan-based sports product you want to sell at all of the home baseball games or you're building a catering empire and have aspirations of being the next Food Network star, keep in mind — you can do it with hard work, perseverance and passion. Build a place to call your own in the world of business. A unique niche makes enterprising easier. Once a vision is established consider your brand layout and keep it consistent. According to TheJamesGroup.com, to make your brand recognizable and memorable, convey a single, mental image using a set of verbal and visual images. Streamlining your company name, logo, tagline and advertising campaign to reflect one mental picture of your company as a whole is key to reaching consumers. Each day, Americans encounter countless advertising impressions. Often unconsciously, they will quickly scan them, looking to process the information for an entry point. The campaign handle initiates the mental image your brand creates. And if you think about how your own mind works, you will understand the link between mental images, branding and sales. What did you eat for breakfast? As your brain quickly inventories your morning, visuals of a cereal box and milk probably came to mind. A similar thing happens when people are deciding which restaurant to eat at or which product to buy. Little images move at the speed of light through the brain offering an answer. Word hooks: offer repeatable catch phrases. Example: "can you hear me now" from Verizon. Character hooks: Use a memorable figure, whether a hero, villain or victim, to establish an emotional connection with customers. Think Snoopy as the Metlife character or Flo as the Progressive personality. Repeatable themes: situations that play over and over addressing the need for a product. Consumers often know the punchline before it comes and feel a personal satisfaction. "He doesn't always drink beer ..."
Consistent layout: In a blink of an eye, customers can identify a brand because of their consistent (and unique) design layout. By using color, shape and images, you can consciously stand out while also instilling trust. In an uncertain world, customers can consistently count on the Energizer Bunny always beating the drum. You can always "Enjoy Coca-Cola." Be authentic in your communication with business contacts and clients. Sometimes a certain amount of transparency can help you become trusted and established. The key is to make you available to attend industry and entrepreneur-specific mixers in your local area. Join online forums and effectively communicate your product while learning successful business tactics from other professionals. If you want truly to get out there, travel to industry conferences and trade shows in different cities as a means to network and grow your business beyond local settings. Select a three-piece suit for the meeting and more casual clothing for the flight and extra time you may have. Wear your heaviest clothing and mix and match your wardrobe. Flight insurance in case your trip is canceled because of weather, illness or other trip interruptions. Arrange for voice and Internet access before the flight. Recharge all of your gadgets using USB ports. Pack only necessary items to avoid security lines. You can always reduce the agony of your business trip if you plan appropriately. Word of mouth is the most effective form of advertising. Eating at a restaurant? Give the server your business card. At a baseball game? Communicate your message to those that strike up conversation with you, whether in person or online. 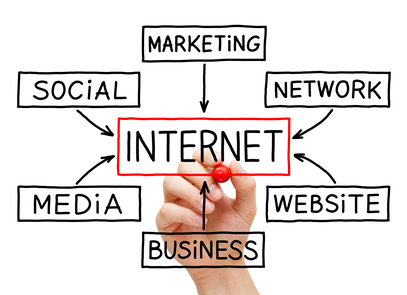 Have your clients, friends and family talk about your unique business niche. Give incentives to your current clients (if you have them) for bringing business to you. The goal is to create walking brand ambassadors that have tried your product or service and have influence on large audiences to buy or consume it. Whether your intentions for social media are to market you or become active in the online community conversations, social media continue to grow and become a valuable asset to any budding entrepreneur. 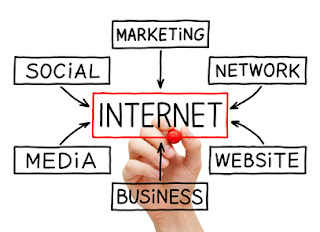 LinkedIn, Facebook, Twitter and Google Plus are some of the top social media websites you must become a part of to survive in the growing world of web-based contact. Set up separate accounts for your personal socializing and your business socializing. A September 2010 research report conducted by Chadwick Martin and Bailey, a Boston-based market research company, found that 75 percent of people will probably share favorable online content with friends, co-workers or family. Sometimes, two are better than one. Advertise with another noncompetitive entrepreneur and promote them while you're out promoting yourself. Just be sure that your intentions and business principles align with your cooperative partner for marketing. Mozilla's Firefox OS Smartphone Was A Huge Hit With Developers. Sold Out Within Hours! The maker of the widely popular Firefox web browser, Mozilla, has released two smartphones running their new Firefox OS platform for developers in an attempt to break into the smartphone market. Within a few hours of making them available, they were sold out! Firefox OS is a new platform that is set to debut this year in Latin America and Europe. The operating system is based on HTML5 and is intended to give users an alternative to "vendor-controlled ecosystems," Mozilla said in a blog this week. To give developers an idea of what the hardware for Firefox OS will be like and how the software will perform in the real world, Mozilla teamed up with Spanish start-up Geeksphone to build and sell two early devices. The phones, the Keon and the Peak, went on sale Tuesday but quickly sold out. ...The high demand is great news for Mozilla, which is hoping to disrupt the smartphone world currently dominated by Apple and Google. Mozilla said it was thrilled to see the high demand for the preview devices. 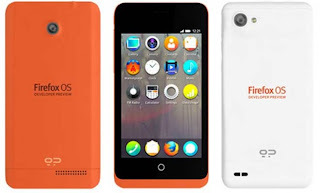 There are two models of the Firefox OS phones available. First the Keon with a 3.5 inch screen running on a Qualcomm 1Ghz processor. The Keon is expected to cost $118. The second model is called The Peak, which features a 4.3 inch screen, runs on a 1.2Ghz processor, and costs around $194. The Firefox OS phones are expected to be available again shortly through Geeksphone when supplies become available. CBS Twitter accounts for 60 minutes and 48 hours were hacked over the weekend. The Twitter account for CBS Denver was also hacked. A post on the "60 Minutes" Twitter microblog account, @60Minutes, said, "PLEASE NOTE: Our Twitter account was compromised earlier today. We are working with Twitter to resolve." Another post read, "A message that was posted earlier to this account was not written or sent by @60Minutes or its staff." The Twitter account for @48Hours showed a similar message, and several blogs said a third account, @CBSDenver, also had been hacked. Tech bloggers posted screenshots of fake posts that appeared under the CBS accounts, including one from @48Hours that read, "General Dempsey calls for #Obama's arrest under new anti-terror laws #48hours." On its own official account, @CBSNews, the news organization said it had "experienced problems" on the other two accounts, and added, "Twitter is resolving issues." All accounts have been recovered by CBS now. No suspects have been found, and nobody has taken responsibility for the hack. When I was growing up watching Star Wars, I wanted my own set of droids like C-3PO and R2D2. Well it turns out that I may finally get my wish in the next four years according to researchers. Sure, we have our Roombas and a few AR Drones here and there, but researchers expect that we’ll have many more – and better – robots within the next few years and that the overall market should hit $6.5 billion by 2017. According to ABI Research’s Consumer Electronics Research Service, the consumer robotics market is currently at about $1.6 billion and growing. A slow economy and fairly expensive parts has stagnated things for the time being but improved devices and more interesting implementations – home helper robots, for example – could push the market up considerably. Hopefully these robots that we bring into our homes will be more like the droids from Star Wars, and less like the servant robots from iRobot. We in IT know that no matter how hard you strive for it, you can't ever really have 100% up time. Some places have better up time than others, with 99.99%, but at some point everyone has a service interruption for one reason or another. Well a big name just proved my point for me on Tuesday. Several Google services were affected by a temporary outage. Many Gmail users faced an unwelcome surprise Tuesday morning when they fired up their computers for the day: Google’s e-mail service and its cloud storage service, Google Drive, were down. Google apologized for the outage in a statement late morning and said that it will let users know what caused the disruption when its teams have completed their investigations. 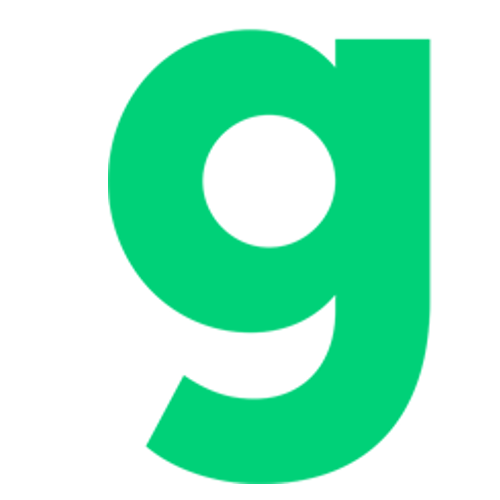 The company said on its Apps Status Dashboard that it expects the limited outage to resolved “in the near future.” The company said that some users have already seen service return and that it will provide regular updates on the issue. According to the company’s posting, the outage is affecting “less than 0.007” percent of Google Mail users. Last June, the company disclosed that Gmail has 425 million active users; the company says that 5 million businesses use its Google Apps for Business services. The company is reporting service disruptions for Google Mail, Google Drive, Google Documents, Google Spreadsheets and Google Presentations. The next time your non-tech savvy boss tells you that they expect your Exchange server to never go down, go ahead and send them this article. In our current state of technology, and being constantly plugged in we often find ourselves ignoring others as we keep our faces planted in our smart phones, and other electronic devices. Well, Facebook is apparently not only embracing that, they are encouraging it. Is Microsoft Bringing The Start Button Back in Windows 8? Many users have been reluctant to move to Windows 8 because they don't want to use the new Start Screen which isn't as intuitive as what we've all grown to love. Even though there are third party apps that will bring back the Start Button and allow you to default to desktop mode, it appears that Microsoft may be bringing the Start Button back in their Blue release. One of my sources confirmed this is now looking like the plan and added that Microsoft is also considering bringing back the Start button as an option with Windows Blue. It's not 100 percent sure that either/both of these options will be baked into the final Blue release, which is expected to be released to manufacturing on or around August 2013. I guess we'll have a better indication once the next milestone build, a.k.a. the Blue Preview, leaks — or when the public version of that preview goes live around June. What do you think about this? If you have been holding off on moving to Windows 8 will this change your mind? Why or why not? Let us know in the comments.